For colorful children’s rugs that are both fun and educational, choose Kids World Carpets. Our impressive selection of vibrant commercial carpet is ideal for any classroom, daycare center, children’s room, dentist’s office, or doctor’s office. Kids World Carpets was established in 1991 and is located in Resaca, Georgia, just south of the carpet capital. We are your choice for children’s area rugs and carpets for commercial childcare facilities, classrooms, and homes. Our rugs are designed by us and are exclusive to our company. With more than 30 years of experience, we have developed a strong reputation for offering colorful, educational rugs at rock-bottom prices. As your customer-first company, we are focused on establishing personal relationships with every customer to ensure complete satisfaction. We take great pride in fostering learning and enjoyment through our children’s rugs. At Kids World Carpets, we understand that child care facilities do not have a lot of options when it comes to purchases. That is why we take a different approach to make sure your needs are met. We service all of the United States and will try our best to come to you depending on your location, if you’re interested in ordering from us. This way you have a chance to see for yourself the great quality and selection of rugs that we offer. If for any reason we are unable to come to your physical location, or you prefer to order online we will give you FREE shipping, that’s how confident we are in our rugs! In doing this you know that you are getting the best quality rugs for your money, and we are pleased in knowing that you are satisfied with your purchase. Kids World Carpets has been serving commercial childcare facilities for more than 20 years. We have been able to grow and succeed because of our dedication to establishing personal relationships with each customer. We want everyone that contacts us to be treated as a person, not just a potential customer. That is why we have thousands of corporate and individually owned facilities that come to us year after year for their children’s educational rug needs. 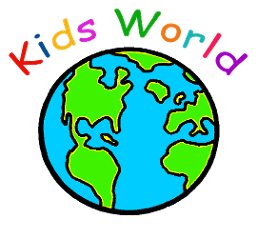 Kids World wants you to know that your complete satisfaction is our primary goal. Contact us for affordable children’s area rugs that your kids will love.